Whoo boy, we are already into the 3rd week of May! Some days just crawl by, but as a whole, time really just slips past without us realizing. Especially when you're an adult. I remember wondering when December holidays would ever come when I was in primary school. But now it's like, just hang on a minute man. December's right round the corner! Anyway, apologies again for the rather long hiatus! I was finishing up my post-graduate diploma and I'm all ready to (finally) graduate (again) in June! And put studies on hold for now. Heh. During the past 10 hectic weeks, I made a couple of trips down to Trinity Medical Centre (Marine Parade) to treat and maintain my skin. You know how stress just loves to manifest itself on my skin. Big sigh. BUT thank goodness I have the expertise of Dr. Lim Ming Yee to save me from the clutches of evil zits. I started off each session with microdermabrasion. It consists of a diamond-tip that removes the uppermost layer of dead skin cells. Basically, it's like your home facial scrub. Except that it exfoliates a whole lot more without being too abrasive and irritable to your skin. It was like a strong suction thing, with no pain at all. 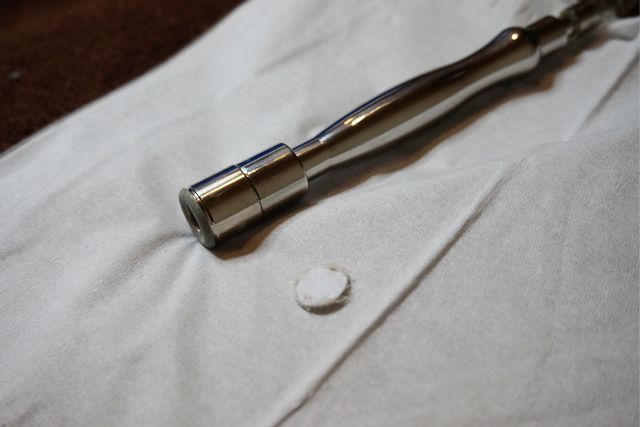 If you see the little round piece of cotton in the photo above... Latched onto it is my dead skin. So gross, but so good to see it all off me! When I was done with it, my face was left feeling really smooth and very clean. Best feeling in the world, yo. 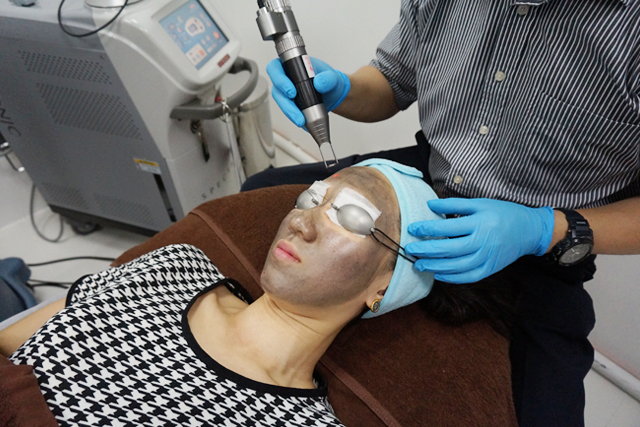 Next, came the Spectra Carbon Laser Peel. This peel helps treat acne, oily skin, enlarged pores, superficial acne scars and fine wrinkles and also, stimulates collagen growth. Sounds awesome, no? :D It started off with an application of a thin layer of carbon lotion on my skin. This helps to enhance the absorption of the laser beam. 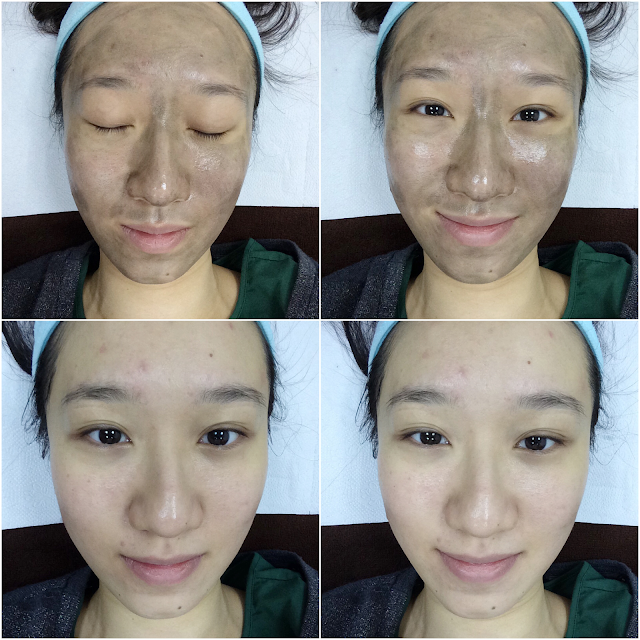 Heyyy, thx for sharing your experience:) does it help with enlarged pores?